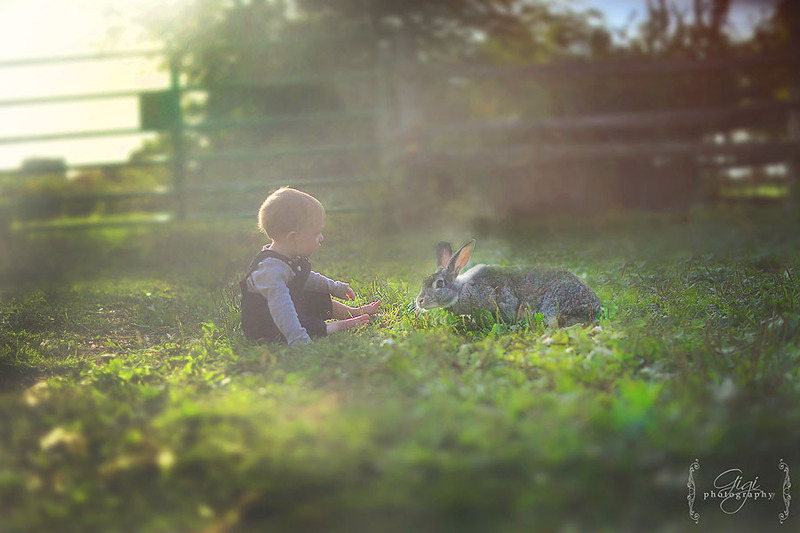 “Weeks passed, and the little Rabbit grew very old and shabby, but the Boy loved him just as much. He loved him so hard that he loved all his whiskers off, and the pink lining to his ears turned grey, and his brown spots faded. He even began to lose his shape, and he scarcely looked like a rabbit any more, except to the Boy. To him he was always beautiful, and that was all that the little Rabbit cared about. Mrs. Boots – Oh, so beautiful! What a sweet moment you’ve captured!